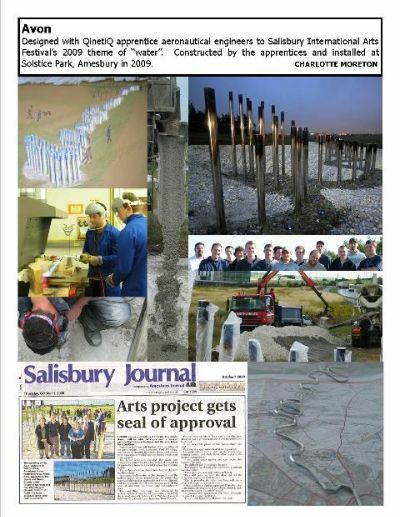 A series of six sculptures sited at Solstice Park, Amesbury, made under a partnership project where Charlotte worked with QinetiQ's apprentice aeronautical engineers and Salisbury International Arts Festival. This years team made the Red Kite, revealed at the opening of Salisbury International Arts Festival in May. Linked to the Festival's theme of "Air" we chose the Red Kite as a subject. The species is a reintroduction success story, now often seen soaring across the skies locally. 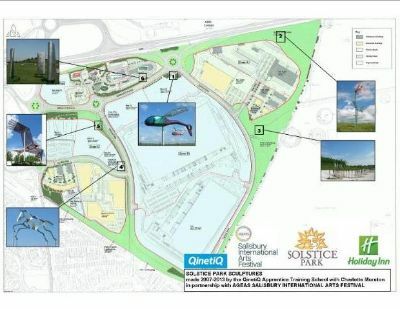 The sculpture will be permanently sited at Solstice Park, Amesbury in September 2011. A further three-year project has begun, creating a sculpture with each second-year group of apprentices. 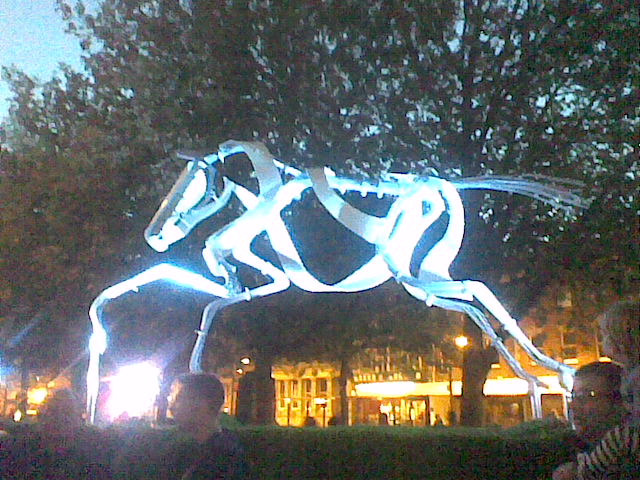 This time we created a white horse - so symbolic in the Wiltshire landscape. It was unveiled at the launch of Salisbury Internatioinal Arts Festival 2010, and is permanently sited at Solstice Park, Amesbury. In the third year of this 3-year partnership Charlotte and the third set of third-year apprentices were guided by the festival theme of water. The resulting Avon is more abstract and is striking in its setting. 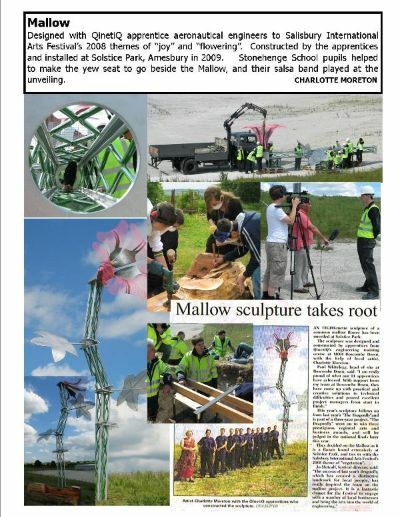 MALLOW, Aluminium and steel, 8m tall, 2008. 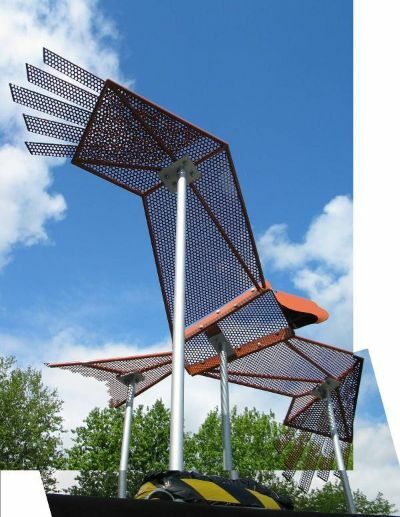 Following on from the success of the first project with this partnership, Charlotte worked with the 2007/2008 third year apprentices at QinetiQ to produce another major sculpture for Solstice Park. With the themes of Salisbury Festival 2008 including Vegetation and Celebration, we elected to create a 8m tall steel mesh Mallow plant. As part of this project, Salisbury Arts Centre donated the last remaining section of its yew tree to be made into a seat sited beside the Mallow, with the help of four students from Stonehenge School, Amesbury. The first project of this partnership with Salisbury International Arts Festival project working with apprentice aeronautical engineers at QinetiQ, and using pieces of redundant Gazelle helicopter. Sited adjacent to the busy A303 at Solstice Park, Amesbury. This project won three South West Arts and Business awards in the categories of Community Development, Employee Development and Champion of Champions. 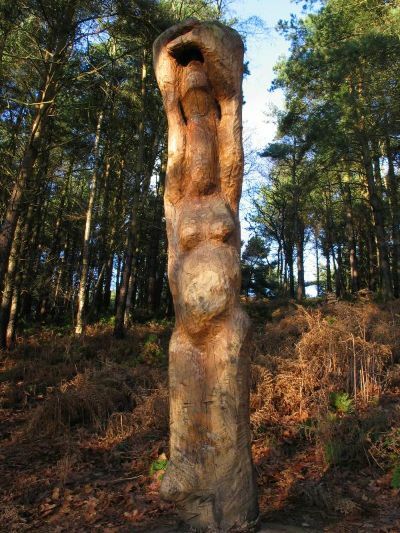 Commissioned by English Nature and Hampshire County Council and made with the help of the community of Martin. Sited at Martin Down National Nature Reserve. 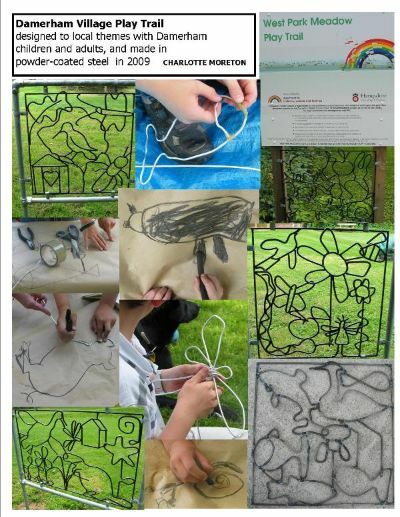 Commissioned by Standon Bowers Outdoor Education Centre and the Forestry Commission. Sited in Bishop's Wood, Eccleshall, Staffordshire.